Everybody knows how polluted the air and the environment outside the home is. Most people prefer staying indoors when pollution levels in the city are at hazardous levels. But many fail to realize that the air inside houses can also be highly polluted causing health problems and allergies. Unclean lakes, dirty ocean water, vehicular smoke, and industrial fumes are easy to spot. But dust particles and allergens in indoor spaces are very dangerous, more so because they have no way of escaping as most houses are well insulated. 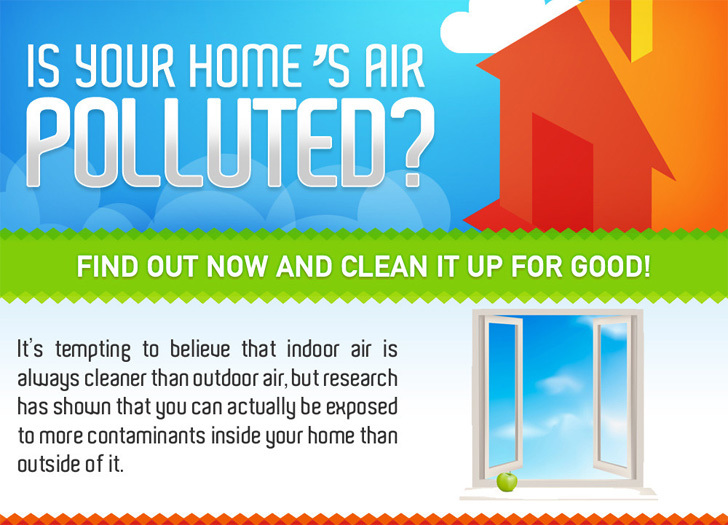 There are various indoor pollutants that contribute to deteriorating air quality in your homes. The most common is dust. Dust particles are present in every house in small amounts. Daily cleaning helps in some way to get rid of these. But dust accumulation in ducts or air filters is highly dangerous because the dust then spreads throughout your house and you keep inhaling it. Mold or fungi is another indoor pollutant that can cause allergies or respiratory issues. If you live in tropical climate or a cold region, you will see mold and fungi growing in certain parts of your home due to the moisture in the air. If any of the family members have a habit of smoking at home, your house may have a very high amount of this carcinogenic pollutant. Tobacco smoke contains a large number of chemicals and residents continue to inhale it even when the smoke has dispersed. Indoor air pollution is dangerous because it is confined to closed spaces and is constantly breathed in by all family members. Bad indoor air quality has a harmful impact on the human body. Common symptoms of indoor air pollution-related health issues are coughing, sneezing, headache, fatigue, dizziness, dry throat, itchy skin or eyes and breathing difficulties. If you already suffer from respiratory problems or a heart condition, indoor air pollution can aggravate it. The best way to purify indoor air is to install an air filtration system that will cleanse the air inside your home by filtering dust particles and other minute pollutants to give you pure, breathable air. This is especially useful for homes that have infants and children, as their immunity is not as developed as that of adults. If you notice that family members are showing symptoms like coughing and sneezing in certain parts of the house, more than others or compared to the outdoors, you may have a high concentration of pollutants in that area. You can call cleaning experts to check your ducts and walls for accumulated dust or mold. 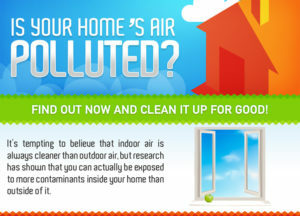 Regular deep cleaning of homes can also keep your indoor air from getting polluted. Installing Carbon Monoxide alarms is also an option. Regular cleaning and replacement of air filters in your heating and cooling systems is a key factor responsible for the air quality in your house. Allow ventilation in your house by opening doors and windows from time to time to let in fresh air.